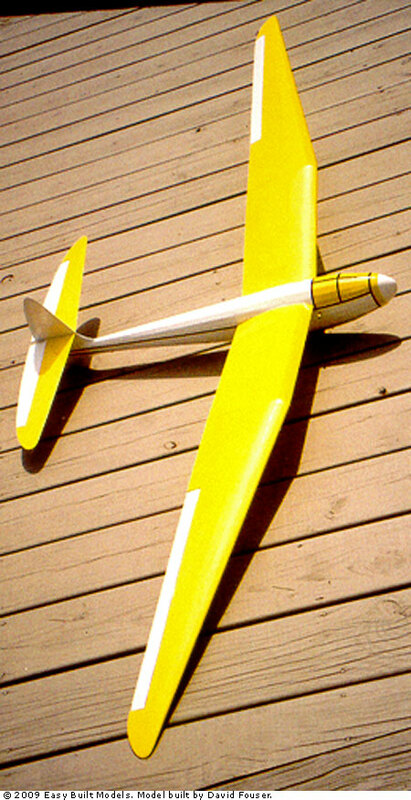 The Super Soarer is a large tow line glider, a 1940's design by Robert Bradford for experienced builders. 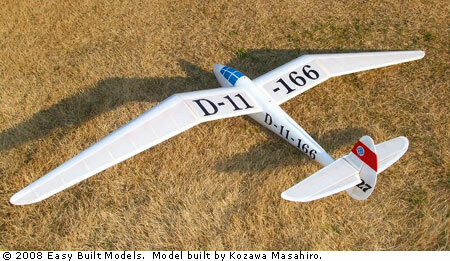 What's the difference between kit G-04 Super Soarer and G-04RC Super Soarer? 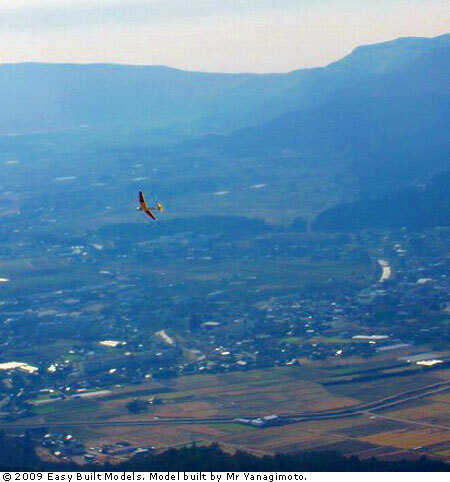 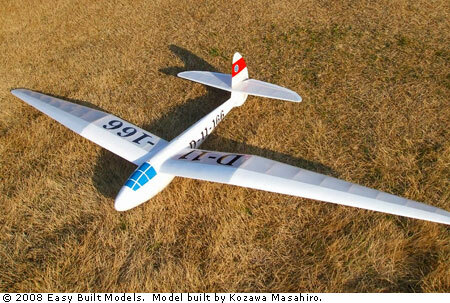 Kit G-04RC is based on the vintage G-04 plan with RC conversion. 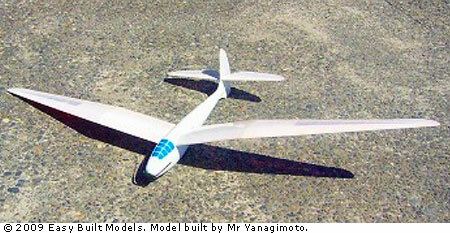 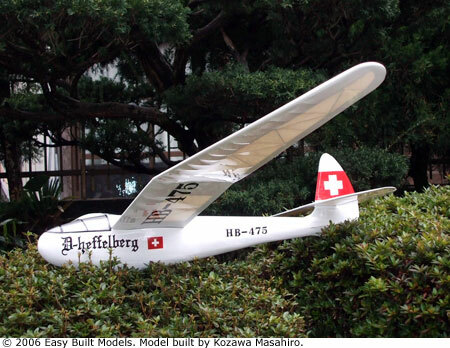 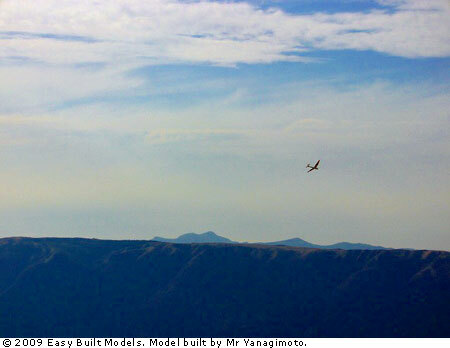 The RC plane has a straight leading edge, G-04 has a swept back wing. 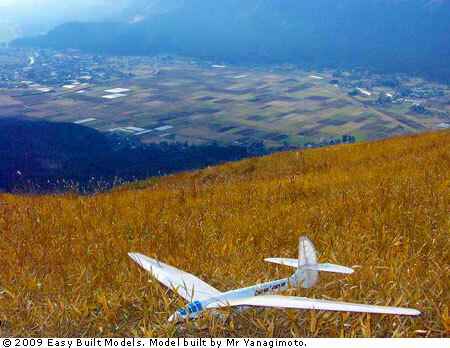 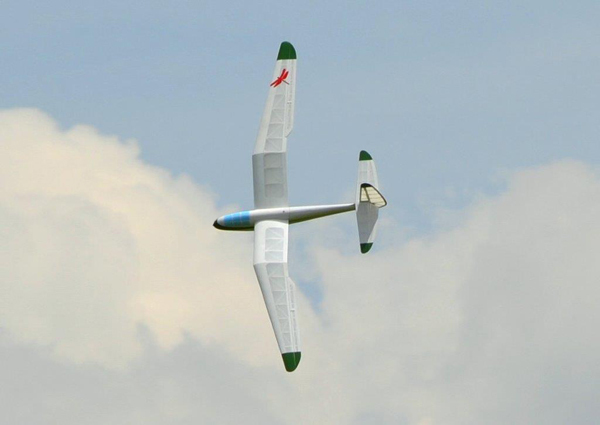 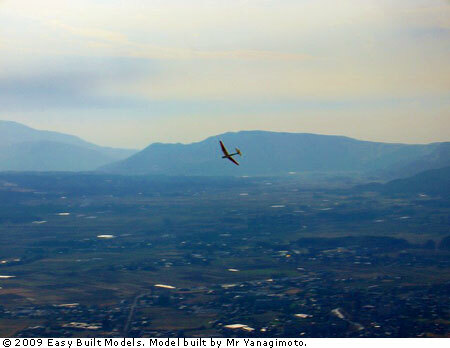 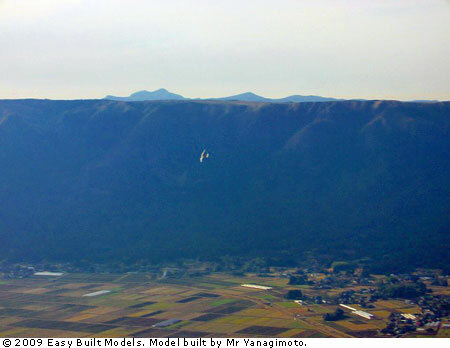 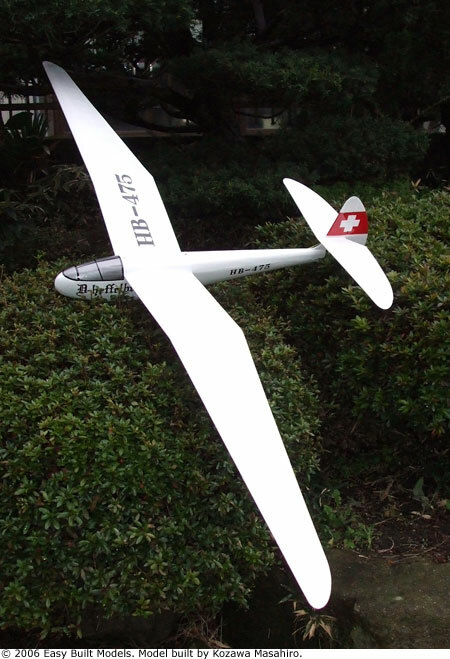 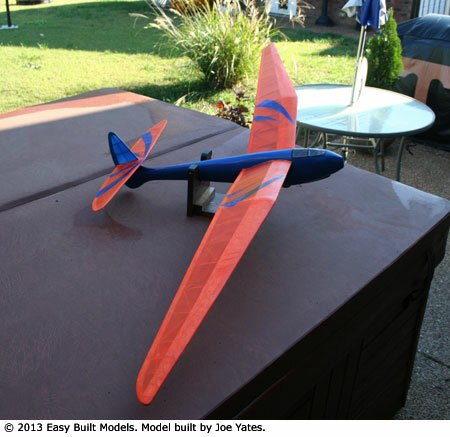 The RC plane includes additional wood for the leading edge of the wing and the control surfaces, plus Easy Hinges, control horns, and screws. 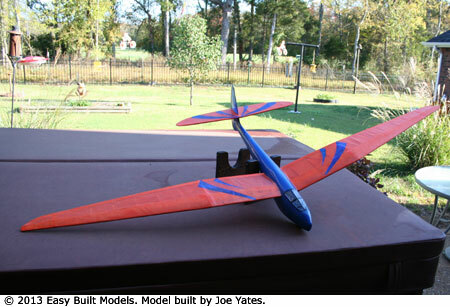 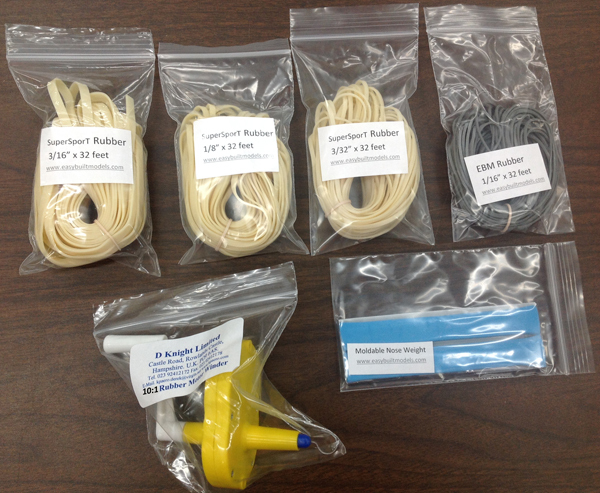 This tow line glider kit includes a full-size rolled plan, building and flying instructions, printed balsa and hand-picked balsa strip wood, and wire for the tow hook. 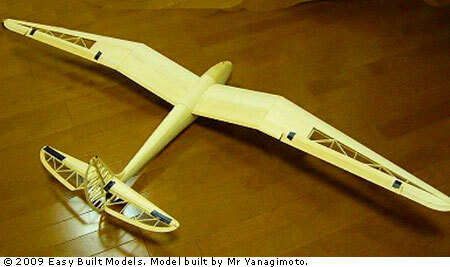 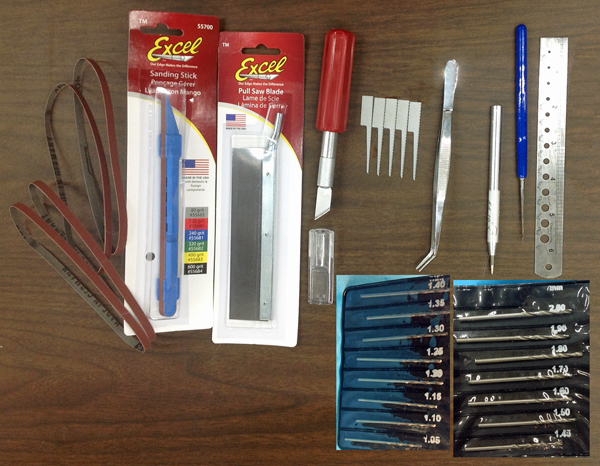 To build this kit you will need a hobby knife, fine sandpaper, building board, glue, covering material and a towline.